First and foremost, long ago we know that the people of God promised to keep the Law of God the day Moses went up to receive the Law written in stone. No, this doesn't mean it was the first time the law was every written, but it is the first time it was written in stone. In fact, Psalms 103:20 says, "Bless the LORD, ye his angels, that excel in strength, that do his commandments, hearkening unto the voice of his word." In other words, long before mankind was created the law was already the law of the land in the city of New Jerusalem. Truth is, if it wasn't already in Heaven, how I ask could Satan have sinned if sin was not yet defined. 1 John 3:4 clearly says that, "Whosoever committeth sin transgresseth also the law: for sin is the transgression of the law." As we know the people of God failed to keep the Covenant they made with the Lord that day long ago and so a New Covenant was needed. God would still do as He said in 2 Chronicles 7:14 which was, "If my people, which are called by my name, shall humble themselves, and pray, and seek my face, and turn from their wicked ways; then will I hear from heaven, and will forgive their sin, and will heal their land." But since mankind proved they could not keep His law, He blessed them with a way to help them keep it. 2 Corinthians 3:3 says, "Forasmuch as ye are manifestly declared to be the epistle of Christ ministered by us, written not with ink, but with the Spirit of the living God; not in tables of stone, but in fleshy tables of the heart." And yes, that is why Jesus said in John 14:21, "He that hath my commandments, and keepeth them, he it is that loveth me: and he that loveth me shall be loved of my Father, and I will love him, and will manifest myself to him." And He most assuredly manifested Himself to everyone that 'truly' calls Him Lord as they all kept His law throughout history and to this day. As we see, Jesus said those that follow Him "hath His commandments," because as Paul put it, the Lord wrote His law on our hearts to make us walking epistles of Christ. In other words, if you accept what Jesus did on the cross as a way to forgive all the transgressions you made against the law throughout your life, then the Holy Spirit will enter into your heart and write the law of God therein. This is why Jesus said in Matthew 7:15-16, "Beware of false prophets, which come to you in sheep's clothing, but inwardly they are ravening wolves. Ye shall know them by their fruits. Do men gather grapes of thorns, or figs of thistles?" The Lord loves you and doesn't want you to be lured away from Him and so He told us to check the fruits of the leaders in the church. The false prophets are as I illustrated in my "Many False Prophets" video of last June. They are all the Sunday keeping pastors who do not have the fruit Jesus speaks of here. If they teach all must keep the Roman Sunday Sabbath holy, then they prove beyond a doubt that the Holy Spirit is not in them. 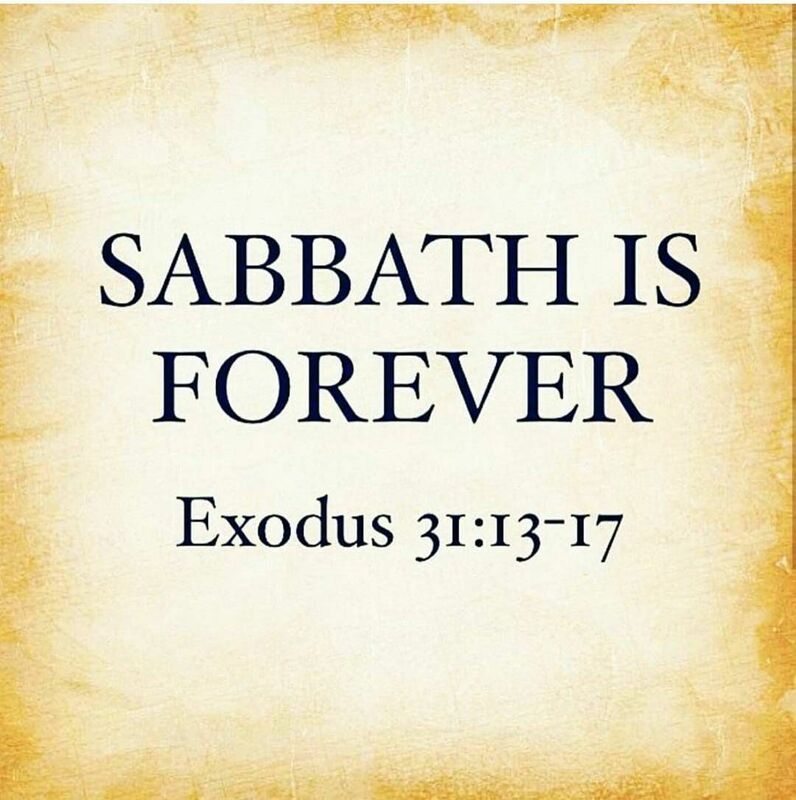 If He was, they would have the power to keep holy the seventh day Sabbath because as promised it would have been written on their hearts and Christ would have manifested Himself to them. And so you cannot gain truth from these wolves any more than you can pick a grape from a thorn bush or a fig from a thistle weed. Yes, all of these pastors claim to love, know and even teach Jesus as Lord; but as prophesied, they preach another Jesus (See 2 Corinthians 11:4) because 1 John 2:4 clearly says, "He that saith, I know him, and keepeth not his commandments, is a liar, and the truth is not in him." And so who are you going to believe? The lying pastor, or the God of truth? If you stay in such a church you are allowing the blind pastor to lead you into the pits of hell. But if you truly accept Jesus as Lord and allow His Holy Spirit to enter into your heart, He will manifest His power deep within you to keep His law so as to gain Heaven. For it is also penned in Revelation 22:14, "Blessed are they that do his commandments, that they may have right to the tree of life, and may enter in through the gates into the city."